While having anything in your home malfunction can be quite frustrating, a garage door that’s on the fritz can be especially nerve-wracking if you have valuables inside you want to protect or if inclement weather is headed your way. Before you call a professional garage door technician, try out a few quick and dirty garage door maintenance tricks to see if you can take care of the problem yourself. Before you break out your tools, open your garage door up and take a listen to see if you can identify the problem by sound. Is there an out-of-the-ordinary screech coming from the rollers, chain or roller hinges? If so, take an up close look and inspect the component and its overall appearance. If you see your rollers are looking a little worse for wear, you can use a spray lubricant to see if that resolves the issue. Before lubricating, use a rag to clean the rollers. To do an especially good job on getting your rollers clean, opt for a lubricant that fights the buildup of grime and dirt, as well as one that effectively loosens up moving parts. You should also use a lubricant that’s tack free, so that you don’t have to worry if the substance gets on the garage door track. If a quick spray of lubricant isn’t enough to take care of the problem, you’ll want to make sure you unplug the garage door from the outlet to reduce the chances of someone becoming accidentally injured. With that out of the way, carefully check the roller hinges for loose bolts. It’s also a good idea to check the manual lock mechanism, even if you don’t use it. There’s also a chance your track brackets have loosened. These brackets are found on the wall inside of the garage door. Check them for bumps, indentations and anything else that looks like it might be hampering the brackets’ performance. Test out the garage door reversing sensors to ensure they’re working properly. To do this, activate the garage door opener and position your hand in front of a sensor. 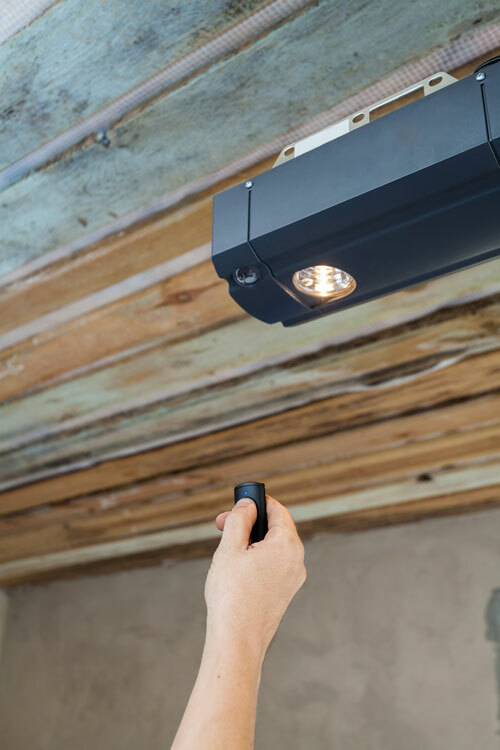 If the garage door doesn’t shift back into open position, inspect the sensor alignment and wire connections and give the sensor lenses a good cleaning. If you’ve tried these suggestions and your garage door is still giving you fits, it’s time to bring in the greater Portland, OR pros. Call the experts at Ponderosa Garage Doors at 866-625-9606 for a free inspection and estimate today!